Zuru's Xshot brand of blasters has done remarkably well, considering their outsider status in the toy blaster universe. 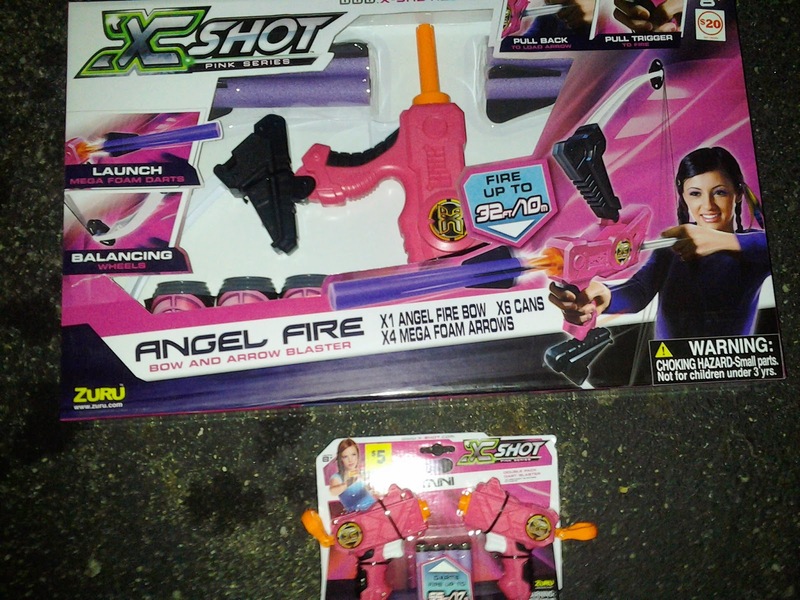 Nerf is always the sure bet to be on shelves, followed by Buzz Bee Toys. 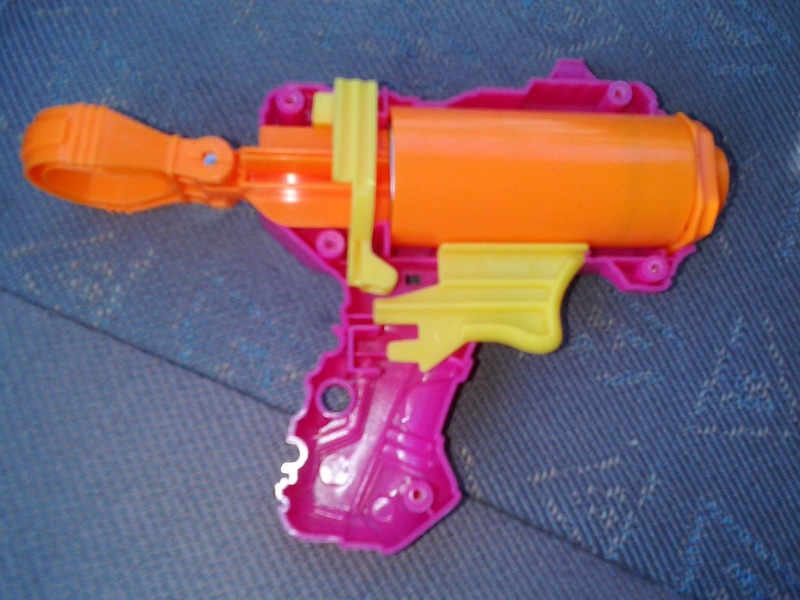 Even the newer BoomCo blasters have the backing of Mattel behind them. Even so, Zuru has managed to expand their sales to involve some major US store chains - Target, Kmart, ToysRUs, Kroger, Family Dollar, Dollar General. This list goes on, and it's been nice to see the blasters proliferate. Oh look! These girls are so happy! Zuru has also been expanding their line, albeit with simple changes in plastic color. White shells for the Zombie blasters, Yellow for the Excel blasters, and the Pink Series, our focus today.There are only two blasters, the Angel Fire (a girly Stalker dart bow) and the Mini (just a pink Micro blaster). But both of them perform well, and are well worth the price if you find them! First, we'll start with the Angel Fire. 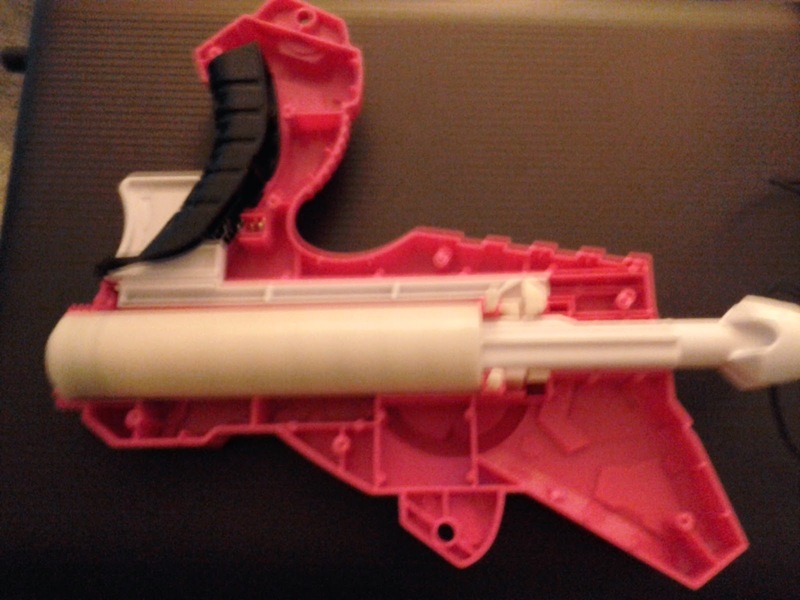 It's a simple blaster to operate - pull back on the handle to prime, pull the trigger to fire, then push the handle back in to reengage the plunger rod. It doesn't normally go in on its own, although it is possible to tighten the elastic "bowstring" enough to get it to retract some of the time. Less of a bow, and more of a blaster. Essentially, it's the same process as operating a Big Bad Bow, just with a different mechanical method of achieving the same result. The plunger tube is large, with over 50 cm^3 of volume being displaced. And it turns out that the blaster delivers on its promises! 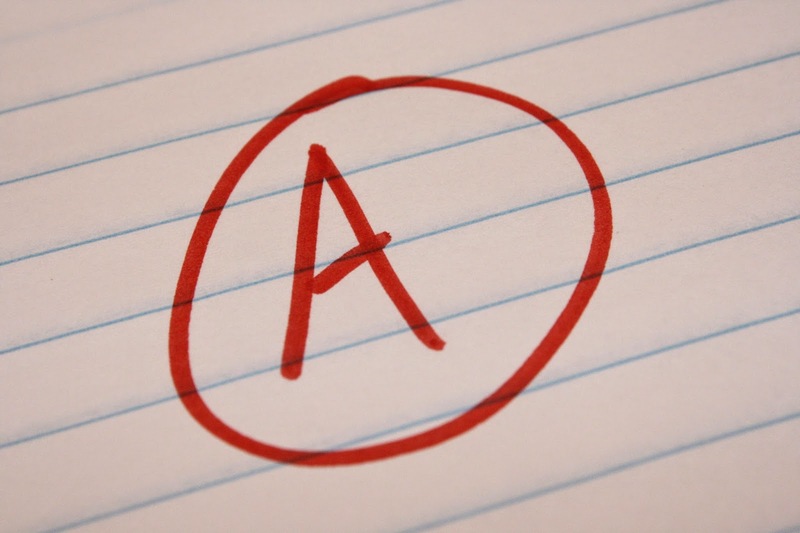 Even with a slight headwind, the Angel Fire was averaging 33' ranges. Those cones are at 20' and 40' from the firing spot, for reference. The Mini, meanwhile, is one of the smallest blasters you will ever see on the market. It's a strange system inside, with what I call a concave direct plunger. The plunger is hollow on the inside, making room for the dart to sit partially inside the plunger tube. 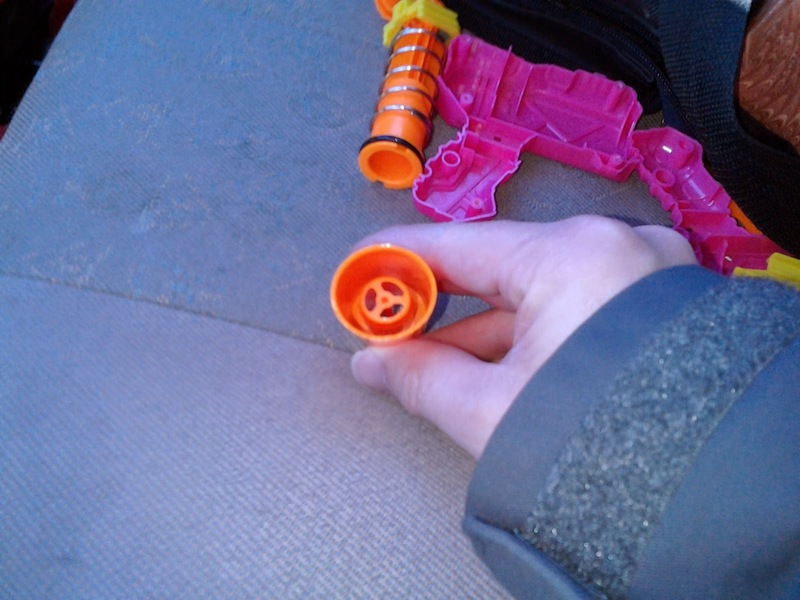 However, it is still a direct plunger moving inside the plunger tube, not a reverse plunger system famously used in much of Nerf's original Nstrike blaster line. From the first run of Pink Series Minis. Slightly different coloring scheme, but otherwise identical. The back of the barrel, sitting in the plunger tube. Note the hollow plunger at the top of the photo. Performance from the Mini also matches (on average) what the package promises, albeit with less precision than I'd like. Shots varied from 15' short of the claim to 15' OVER. 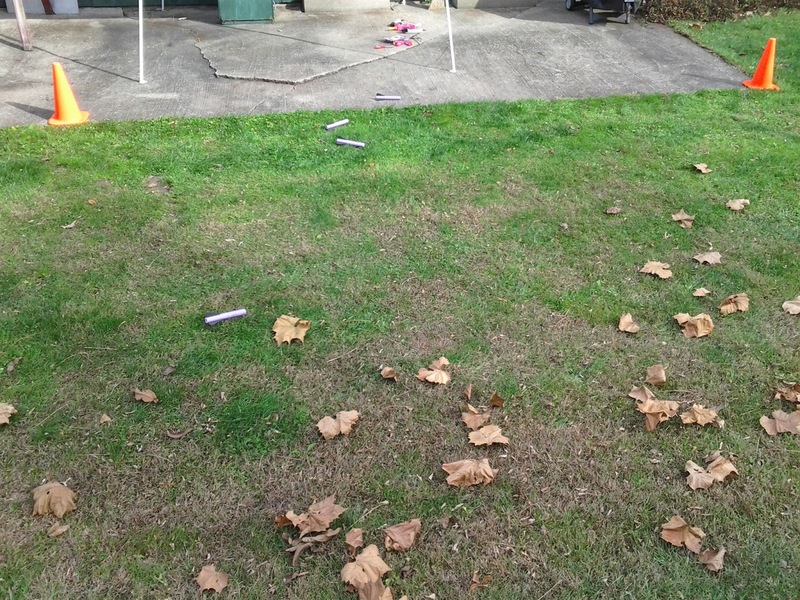 I believe this was due to the included darts being deformed during transport - aka accidentally squishing some of them. In any case, it's a lot of power in a tiny package. Remember, it's not the size that matters, but how you use it! For the best gaming experience online for the puzzle game then use my site http://wordsearchpuzzles.online for free play.